Sculpting Harriet Tubman - The creative Process - Florence is You! Sculpting Harriet Tubman – The creative process is a short documentary following the creative process of Harriet Tubman’ sculpture, a symbol of freedom that comes to life into the hands of Canadian artist Frank Rekrut. 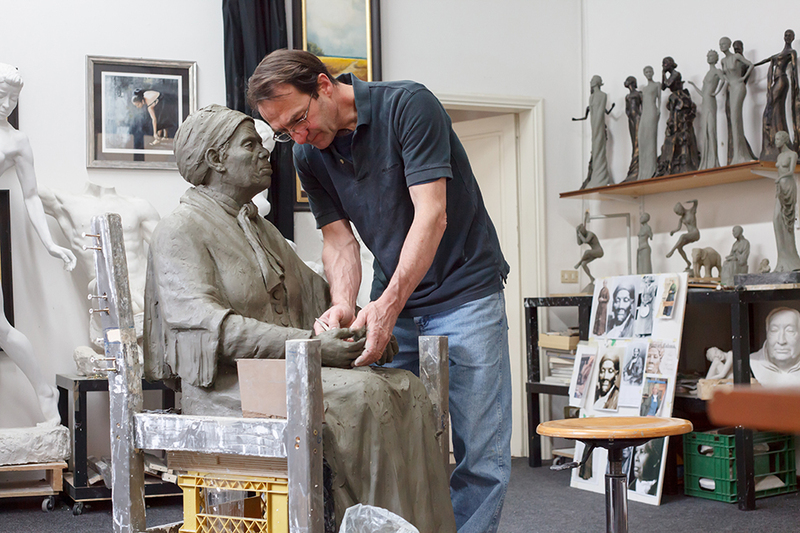 In 2014 Canadian artist, based in Florence, Frank Rekrut was commissioned by the District School Board of Niagara to sculpt a life-sized statue of Harriet Tubman for the new Harriet Tubman Public School. The Harriet Tubman Public School is born from the unity of three public schools in St. Catherine, one of which Frank attended as a child. Intrigued by Harriet’s story, filmmaker Dorin Vasilescu, followed the creative process of the sculpture, documenting Frank’s every move while recreating history, telling her story from an outside perspective and developing a relationship with the piece. The images set the story in the artist’s studio, placed in the heart of Florence, showing the sculpture coming to life, from the chair Harriet is sat on to the book placed in her hands. “I think the best part about being an artist is to develop a relationship with your piece. Whether it was positioning her hand, the title of the book, or the tilt of the head, it felt like she was talking to me.” states Frank Rekrut. “It was fascinating to watch Frank interacting with Harriet as she came to life in his hands. The soft details of her face, the shape of her eyes, the buttons on her blouse and even her shoes were carefully planned to match the piece’s personality.” recounts Dorin Vasilescu. Filmmaker and artist take you on a journey to discover the creation of the sculpture from the very first moments in November 2014, to the foundry and finally to the unveiling at the Harriet Tubman Public School on February 9th, 2016. The short documentary is a piece of history meant to inspire and give a better insight into the process of creating a sculpture from the very beginning. Sculpting Harriet Tubman – The creative process can be watched online at sculptingharriettubman.timmistudio.com starting March 16th, 2016. 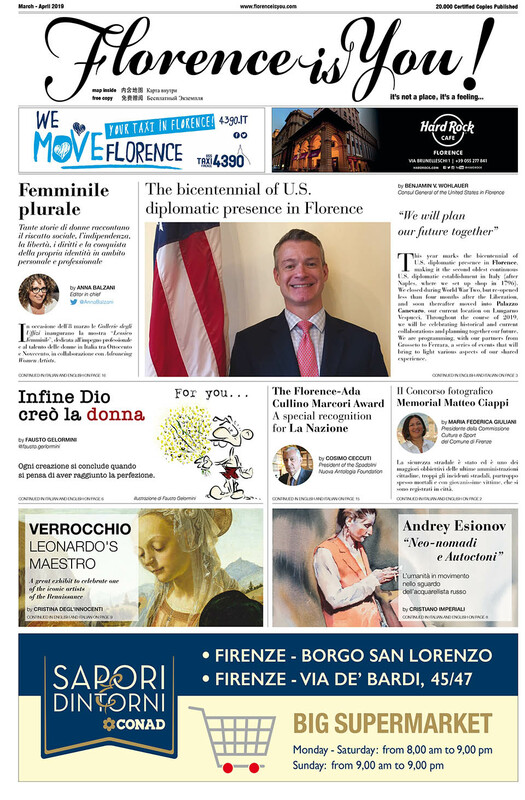 Dove sono finiti tutti i fiori?